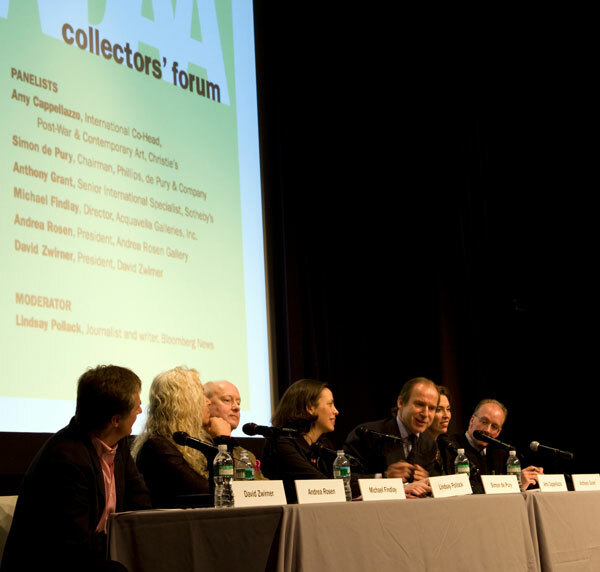 This spring, ADAA continues its line up of renowned Collectors' Forums with "To Have and To Hold: Intimate Histories of Collectors and Collecting" on May 10, 2008. Bringing together art collectors from around the globe to discuss their passions and insights, the forum will explore the ways in which collectors make decisions and manage their legacies. Differentiating between buying art for pleasure and for investment, panelists will discuss topics such as: What is a collector's influence on the value of the art they buy? How do they determine whether the art they amass is part of a private collection or a public asset? What prompts the decision to sell some of the work they’ve accumulated? How do collectors influence artists or their reputations both financially and aesthetically? And, how do art collectors manage their roles in the discovery and promotion of new artists? Sponsorship provided by Lehman Brothers.